Clasp, toggle, gunmetal-plated brass, 10mm twisted round. Sold per pkg of 2. Item Number: H20-A7482FN Have a question about this item? 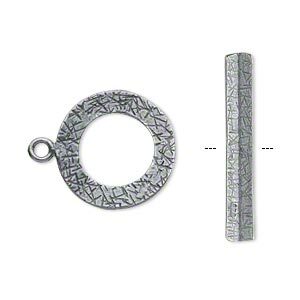 This gunmetal-plated toggle clasp offers designers a non-precious metal version of a popular closure that was available previously only in sterling silver. 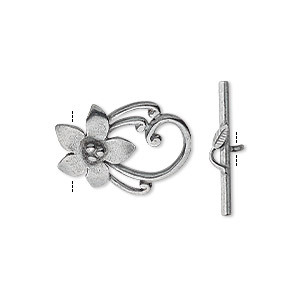 This detailed component is an appealing design element that allows easy on and off for the wearer. 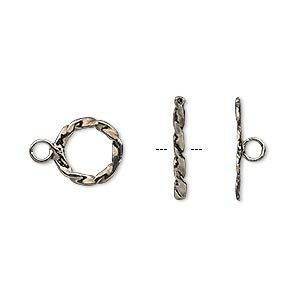 Clasp, toggle, gunmetal-plated brass, 15x14mm twisted round. Sold individually. 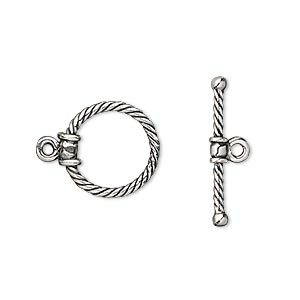 Clasp, toggle, antique silver-plated brass, 10mm twisted round. Sold per pkg of 2. 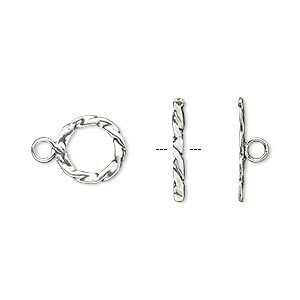 Clasp, toggle, antique silver-plated brass, 15x14mm twisted round. Sold individually. 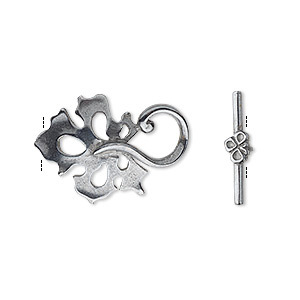 Clasp, JBB Findings, toggle, gunmetal-plated brass, 22x15mm leaf. Sold individually. 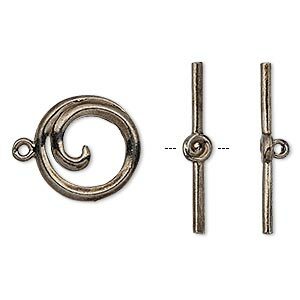 Clasp, toggle, gunmetal-plated brass, 15.5mm round swirl. Sold individually. 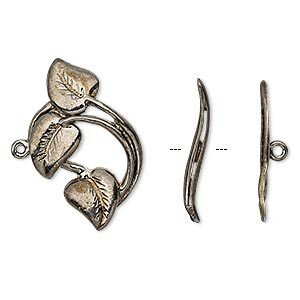 Clasp, toggle, gunmetal-plated brass, 26x16mm leaves. Sold individually. Clasp, toggle, antiqued brass, 15x14mm twisted round. Sold individually.